When Batman v. Superman came out in theaters, we got our first taste of the Batfleck, and despite what many people thought about the movie as a whole, Ben Affleck came off as one of the better pieces of the puzzle. Out of all of it, nothing was as cool as watching Knightmare Batman. 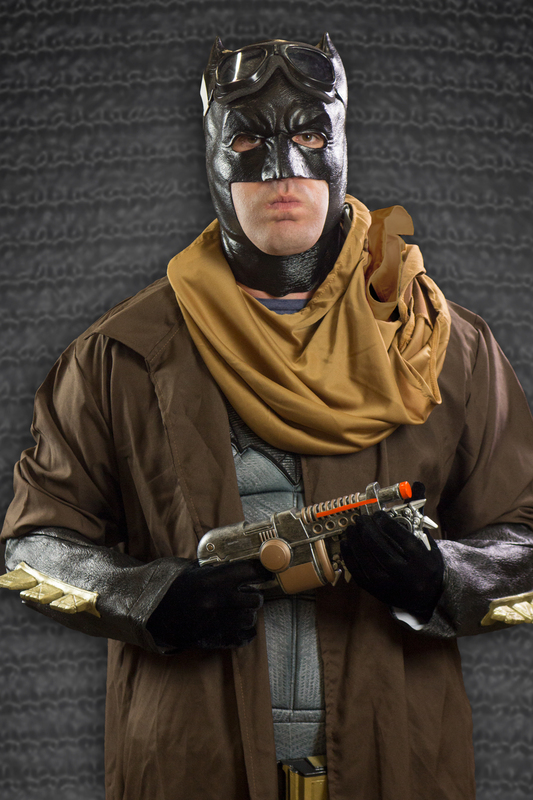 Between the goggles, the trenchcoat, and the desolate post-apocalyptic wasteland, Batman looked as cool as ever. 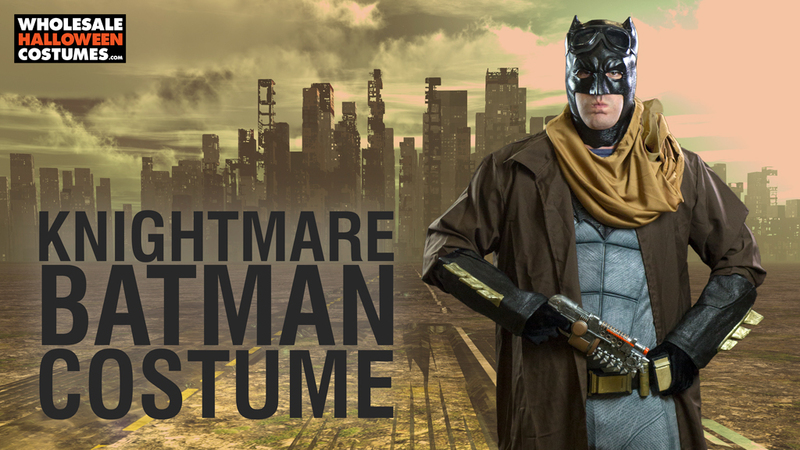 It all came together so well, in fact, that Wholesale Halloween Costumes decided to piece together a version of the Knightmare Batman suit! Batman Costume – shop now! | Duster Jacket – shop now! | Aviator Goggles – shop now! Gun – shop now! | Brown scarf | Black Gloves – shop now! 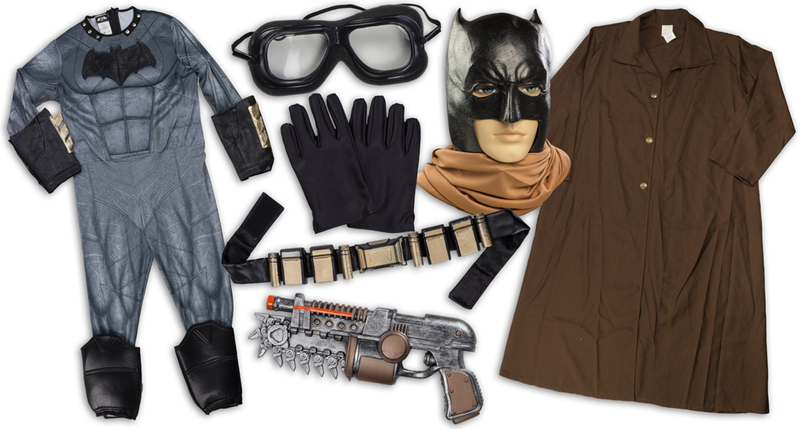 If you’re still looking to get your Bat-fix, check out some of the Batman costumes offered from Wholesale Halloween Costumes, and if you’re still clinging to the hope that the DC cinematic universe will get it right, check out the DC Comics costumes!